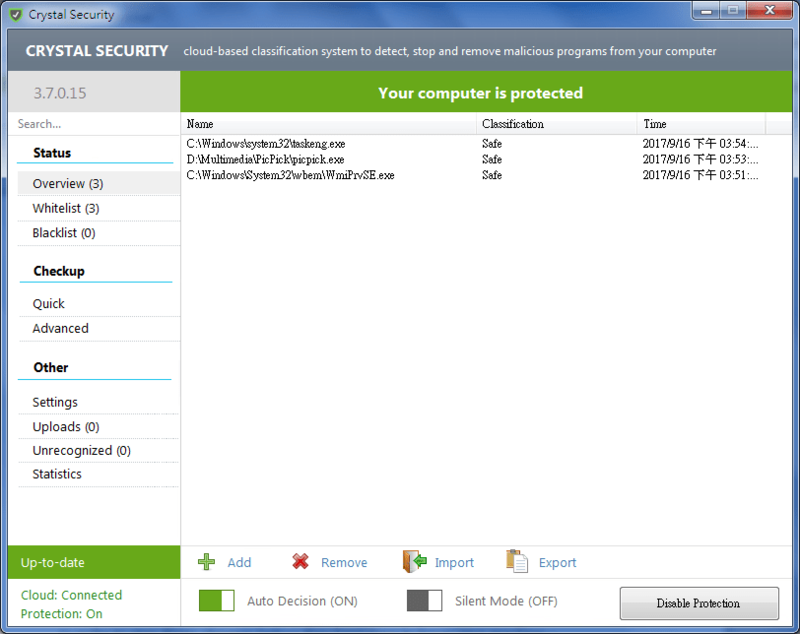 The program is a very easy-to-use application that was created in order to help you quickly recognize and purge malware that might affect your computer. Since it is Cloud-based, it will gather data from millions of cooperating users from around the world to help defend you from the very latest viruses and malware attacks/ That coupled with Cloud-based malware detection, ensures that it’s easy to use. This entry was posted in 軟體情報, 軟體情報, 安全防護 and tagged in 惡意程式, Crystal Security.